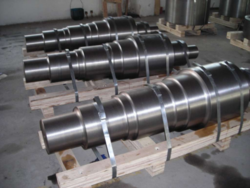 We are providing all type of ship shaft as per customer requirement . - AS per customer requirement . - We give you good price quotation. R R Samudrika Marine & Infrastructure Pvt. Ltd.
We are leading importers of ship shafts of various diameters in kolkata. A To Z Alloys Private Limited is one of the foremost Manufacturers & Suppliers of Ship Shafts from Maharashtra. Ship Shafts is a kind of raw material that comes as scrap after demolition of a ship. We are providing Steamer Shaft .Our company is involved in a quality range of Steamer Shafts made up of iron & steel. These steamer shafts are used in Automobiles and Engineering sectors.This product is also known as Ship Shaft. Backed by years of industry experience, we are engaged in offering a premium quality range of MS Ship Shafts. 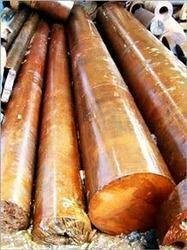 We are leading Manufacturer, Supplier and Trader of Ship Shaft.